Winter is a time for extreme and often unpredictable weather conditions including snow, ice, and below freezing temperatures. As a reminder, here are the guidelines that we use during the winter for determining outdoor/indoor recess and school closings. Generally speaking, if the temperature is above 0 degrees we do go out for recess. If it is below 0 degrees we stay in for recess. These temperature readings include wind factors. Several factors go into the decision for closing school or starting school later due to weather conditions, including consultation with other Big Foot Area Schools and our bus company. It is safe to assume that if we are under a Storm or Cold Temperature Warning we will close school. If we are under a Storm or Cold Temperature Advisory, we will keep school open. We do understand and respect when you, as a parent or guardian, feel that it is in your child’s best interest and safety to keep your child(ren) home when there are Advisory conditions. Their absence would be excused. 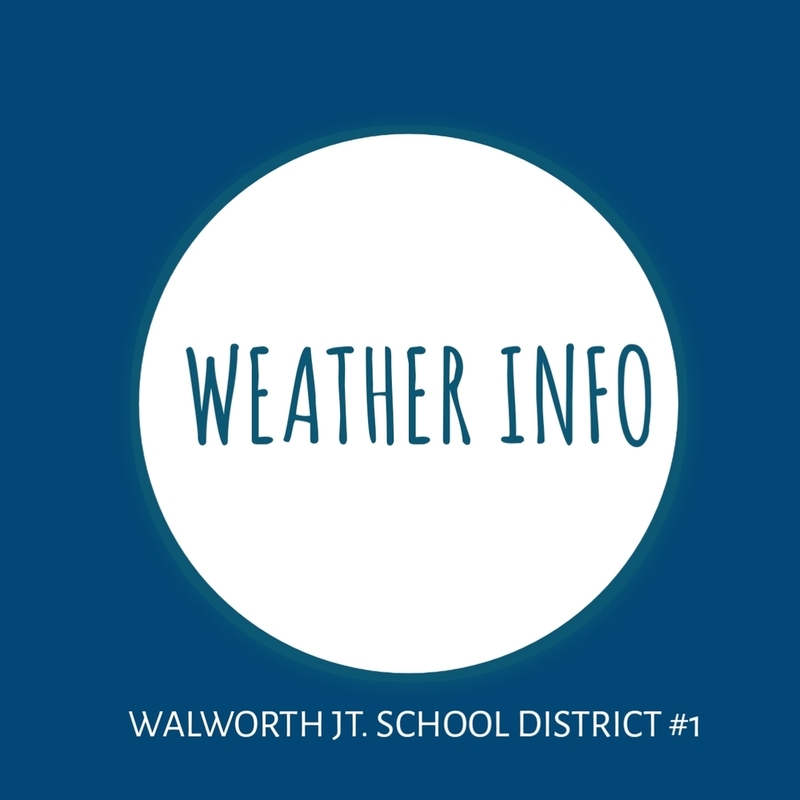 As a reminder, we will send out announcements for school closings via facebook, text messages, email, Walworth School website, our Walworth Wildcat app, phone call, and on local news channels. We try to get the announcement out in a timely manner and whenever possible, messages will go out the night before the expected closing. I know that you are aware of the importance of proper winter clothing but it is worth a reminder to send your child(ren) to school with coat, gloves and hats and to encourage them to zipper up, and actually put on their gloves and hats. Please know that we also have winter clothing available for any family who would need assistance with this. Thank you for your cooperation with us!